The first regular American fighting force, the Continental Army, was organised in June, 1775, to support militia forces in the War of Independence (1775-83). Disbanded in November, 1783, it was re-established during times of conflict such as the Mexican War (1846-48). By 1860 there were 16,000 men in United States Army. During the Civil War this increased to over 1,000,000. This fell to 25,000 by 1875. Elihu Root reorganized the army after becoming secretary of war in 1899. This included the establishment of a General Staff in 1903 and improvements in officer training. About 200,000 Afro-Americans served in the US Army in Europe, but only 42,000 were classified as combat troops. Completely segregated, they fought with the French Army during the war. 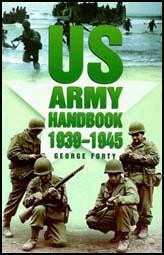 Before the outbreak of the Second World War, the United States Army was a small professional force of 175,000 men. General George Marshall was appointed Chief of Staff in September, 1939, and he immediately ordered the production of high performance tanks and the latest field artillery. In 1940 the first peace-time draft took place and by the summer of 1941 the army had 1,400,000 men. When the United States entered the war plans were made to establish 105 divisions but in fact only 100 divisions were created before the end of the war. Under Marshall's direction, in less than four years, the army grew to a force of 8,300,000 men. Winston Churchill believed that Marshall's achievements were monumental and described him as the "organizer of victory". 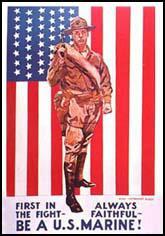 In May, 1942, Dwight Eisenhower was made supreme commander of European operations. Based in London, he got on well with Winston Churchill, and together they planned the 1944 invasion of Nazi occupied Europe. By spring 1945, with powerful support from the Russian forces advancing from the east, the war in Europe was ended. Overall casualties were 234,874 dead, 701,385 wounded and 124,079 imprisoned. The outbreak of the Korean War in 1950 resulted in another expansion of the United States Army. Within a year the force had grown to 1,500,000 officers and men. Over 142,000 American troops were killed during the war. The existence of McCarthyism and the Cold War meant that army size was maintained and even after the Korean conflict had ended the army had over 850,000 men. The United States Army grew again during the Vietnam War reaching 1,460,000 in the late 1960s. Between 1961 and 1973 over 56,800 were killed and another 153,300 were seriously wounded. With the withdrawal from Vietnam the army was returned to volunteer status.